Have you ever seen those commercials of people using a spin bike and they look fit and sweating like crazy? Have you ever wondered how to use a spin bike to whip your body into shape? I’ve wondered the same thing looking at those commercials. I decided to give a spin bike a try and see if I could use it to help me lose weight like those people on tv. This tutorial will go into the tips and tricks that I found and how you can use a spin bike to burn hundreds of calories a day. 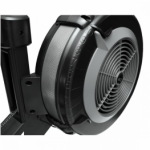 A good spin bike with a weighted flywheel and the ability to adjust the resistance. Appropriate clothing, no loose clothing that could get caught in the spin bike. Good shoes with traction to stay on the pedals and a stiff sole that distributes the pressure across the bottom of the foot. For the best workout, it’s essential that you set up your bike to be in the most comfortable position possible. This will allow you to focus your efforts on spinning your best workout and not be wiggling around trying to endure an uncomfortable seating position. This is done in a couple of different ways. The first is to adjust the saddle height. The saddle is just a fancy way of addressing the seat of the bike. The seat should be at the right height so that you don’t lose power if you are too high, and you don’t hurt your knees if you are too low. You can do this by turning a knob or pulling a lever and position the seat at hip height. You also need to make sure the angle of the saddle is correct. It needs to be in the right position to hold your weight without putting too much stress on your joints or allowing you to slip out of the chair. Your forward knee should be directly over the pedal when you are sitting. To be able to take the pressure off your back and neck, your handlebars need to be in the best position. If you have a stiff back, the best place is about level with the saddle. This allows for a much more powerful workout. If you are worried about the possible aggravation of your back, you may want to adjust the handlebars to a higher position. You can slowly lower the handlebars as your back gets stronger. Step onto the bike and position your feet into the straps of the foot pedals. Make sure that the ball of your foot hits the center of the lever. Your feet should be secure and not slip. This video will show you how to set up your spin bike step by step. Now that your bike is positioned for your body, you need to warm up the muscles before getting into an intense workout. This is best done with a slow rhythmic movement of pedaling on the spin bike for a couple of minutes. Increasing the speed and power for the next few minutes until your body feels warm and your breathing and heart rate are increased. This short warm-up will get you ready mentally and physically for the workout to come. It will reduce your risk of injury and help you put in a better workout. Depending on your level of fitness, your workout should be between 30 minutes to an hour on the spin bike. This is a great cardiovascular workout, and if you adjust the resistance, it can be a great lower body strength workout as well. You can plan your workouts for interval training, which is the best way to burn calories by using a timer set for intervals of your choice. Alternate between spinning at about 50% of your maximum power output for one range, to about 85% your maximum output for the next interval and recover with a short interval of rest at about 30% your maximum output. Keep alternating between intervals for the allotted time. You can turn up the heat and the burn by adding resistance to your spinning workout. This is done quickly by adjusting the knob on the bike to a higher resistance level. This makes the wheel heavier and harder to pedal. You will feel a significant difference in the work your legs have to do during your workout. You will burn more calories in the process and get defined and sculpted legs. This video will show you how to adjust the resistance on a spin bike. In the beginning, your workouts might start slower and shorter because you are new to spinning, and that’s ok. Continuing your workouts on a consistent schedule is essential. What you thought was difficult at first will start to seem like a breeze. This is when it’s time to give yourself more of a challenge. Increase your frequency, duration, intensity, or resistance in your spinning workouts to continue to see results in your fitness level. A slow and continuous progression is best for long term results and to avoid any injury. I hope this tutorial helps you to feel motivated and confident in trying your hand on how to use a spin bike to burn calories every day. If you follow this tutorial by adjusting your bike to your own body to be comfortable and practical for your workouts and if you plan an intense interval workout using either your timer or a workout app, you can be successful too. Do you have any tricks and tips that you would like to share? How about questions that I didn’t answer? Please feel free to comment below and share this article with your friends to help them burn hundreds of calories on a spin bike as well.